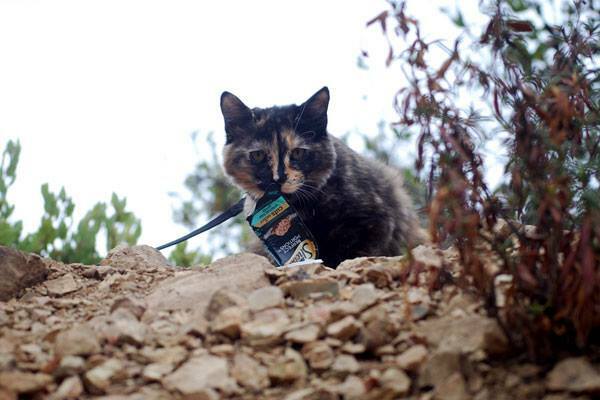 Meet Turtle the adventure cat. She is always on the go! Whether she is hiking, biking, kayaking, or taking the train into the city, she loves to go on adventures! 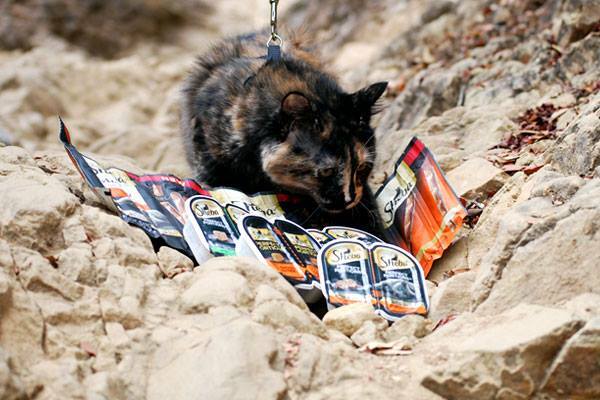 Check out Madison's adventure cat tips and have fun exploring the great outdoors with your feline friend. 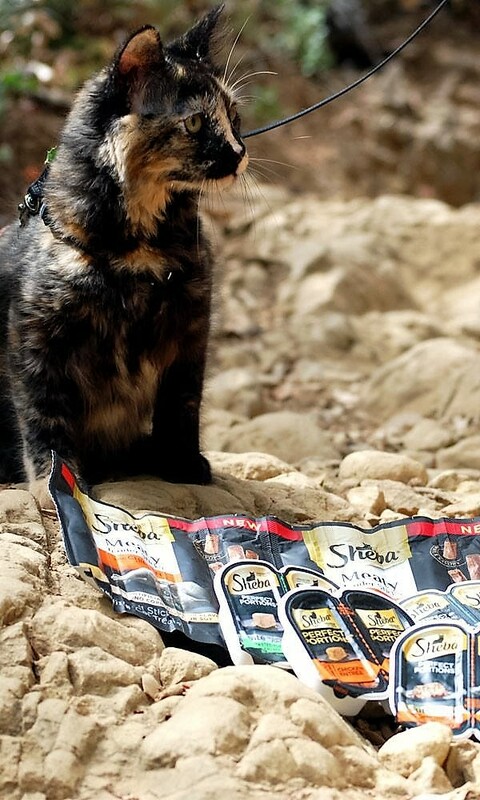 We’ve all been there — out on an all-day hiking adventure when you start to think to yourself, “My kitten really could use a snack.” Or even worse, when you’re out kayaking and the dry cat food you packed gets waterlogged. Turtle can enjoy the easy snap meals anywhere. 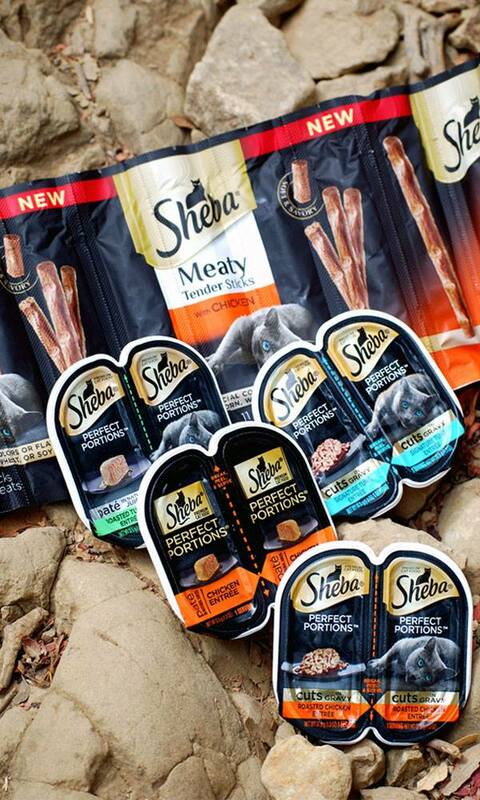 For a quick snack between meals, she loves the SHEBA® Meaty Tender Sticks cat treats. As her mom, I like the easy snap portions that help ensure I feed her just the right amount every time, and I love knowing they are made with real meat and no artificial flavors. I’ve been taking Turtle on adventures since she was 8 weeks old. It started with quick trips to the store, where she’d ride around in my backpack while I shopped. She really enjoyed these excursions out of the house, so I continued to expand upon them until I was taking her on the train into the city, and then on all day hiking and kayaking adventures. And yes, we’ve definitely gotten a lot of weird looks from people everywhere we’ve gone. Click here to follow Turtle's adventures on Instagram. Just this past weekend, we went to scope out Mt. Tamalpais, in the heart of California’s Marin County, and we were armed with SHEBA®'s perfectly portioned meals and individually packaged treats. The packaging of these products is perfectly designed for when you’re on the go, as they’re super portable and can be tossed in a backpack without fear of creating a mess. As you can see, they’re easy to feed just about anywhere! Which was good, because we got lost about 4 times (the trails of Mt. Tam are beautiful, but not well marked) and ended up hiking up what we now believe to be a dried up creek-bed, rather than an actual trail. 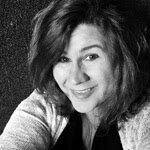 If you’re thinking about taking your cat on outdoor adventures, there are a few tips I can give you to have it go more smoothly. First, if it’s possible to get them accustomed to going out and about at a young age, that will make it much more natural for them. Also, give them time to get used to wearing a harness and leash — have them wear it inside while you play with them and do other normal activities and reward them with SHEBA® Meaty Tender Sticks as they become comfortable with it. 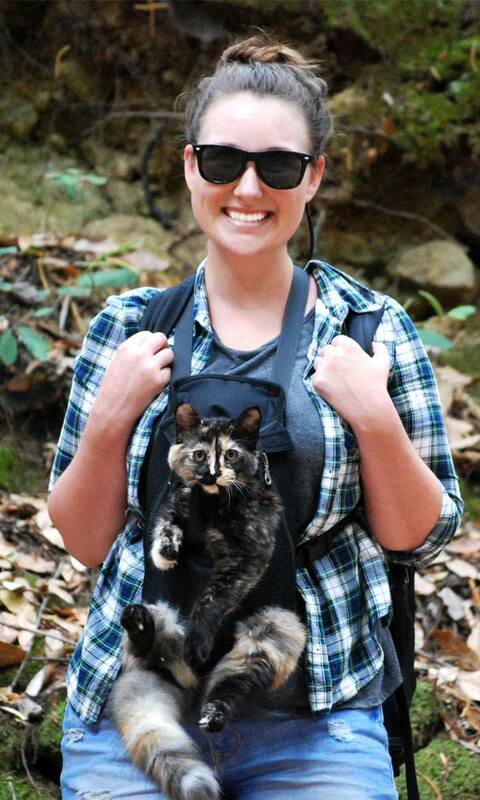 I also highly recommend the kitty bjorn, especially if you’re going on long hikes! Turtle is so happy just hanging out in her pouch and really enjoys taking in the sights. Another pro-tip: always bring extra layers, in case it gets chilly and you need something to keep your kitty warm. 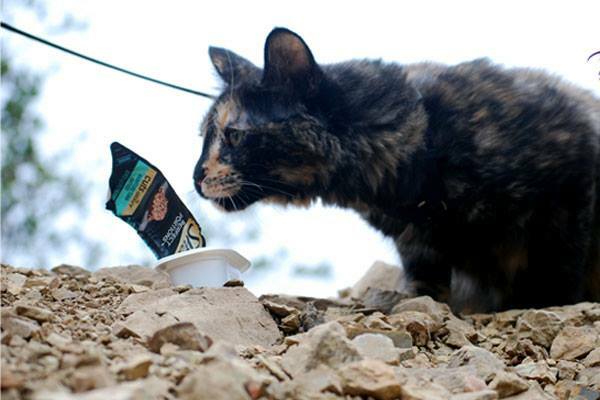 And of course, always come prepared with food and water for your feline friend. Happy catventuring! 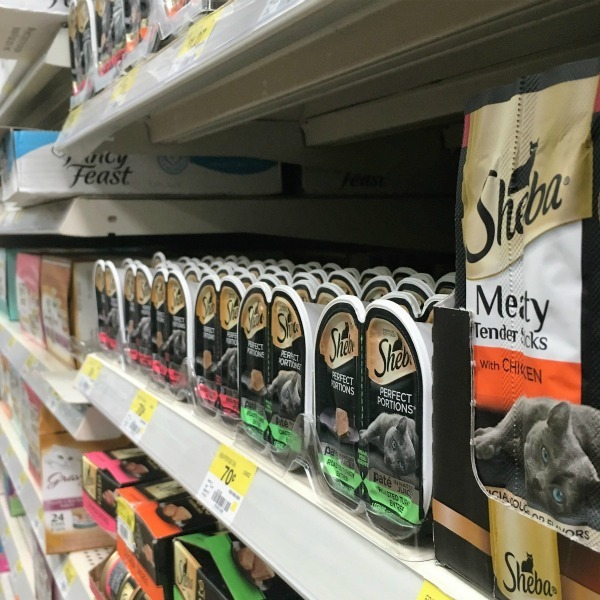 Find SHEBA®products in the pet food aisle at Walmart and click here for more cat inspiration. Thanks goes out to my daughter, Madison, and her kitty, Turtle, for sharing their cat adventure tips with us today. How very fun that you have an adventure cat!! !